I am a marketing manager Sumit from the city of Gurgaon. I was married three years and now I have a beautiful wife and even more beautiful daughter. Earlier I had a Ford Fiesta but now I want to change it to a newer and fresher car. I have been searching for such a car in the new and good cars which are currently available in the Indian car market but I had a major condition with my choice of car that the car should be low maintenance. As I have earlier said that I am a marketing manager and due to that I really get a very little time to take care of my car, and I cannot afford to get it serviced and repaired every now and then due to my low time problem. After looking at many cars and taking many test drives I really liked the company Toyota because it had very good cars which gave out a very good performance. After deciding the company I started short listing their cars. After looking at many cars I finally decided to go for the Toyota Etios GD Safety. I initially liked the looks of this car very much and straight away fell in love in the first glance. The car is gifted with a very efficient diesel engine which manages to give out a very good amount of power as well as a very high number in its mileage. The car is blessed with very good and fresh looks both on the outer body as well as on the interiors. From the safety perspective the car has SRS airbags for both the co passenger which can protect both during a scene of a car crash. The car also has seat belt warning system and safety feature which I like the most is the anti lock braking system, which prevents the tires from locking in case of heavy breaking which avoids the car from skidding and loosing control. Other standard features can be seen all over the car. The instrument panel of the car looks very good and is designed to look very sporty and indeed it looks very appealing. The seats of the car also have a good amount of leg space which makes the journey a real comfortable one. The only thing which I did not like about the car is the absence of music player or a CD player system. Other then that I find the car almost perfect and I like it very much. 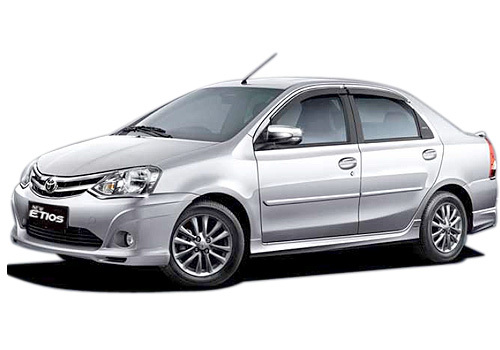 Toyota Etios gives great mileage..